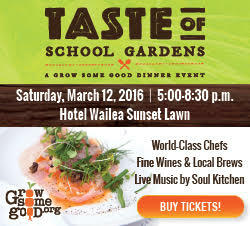 Tickets are now on sale for Taste of School Gardens, happening Saturday, March 9 at Maui Tropical Plantation. 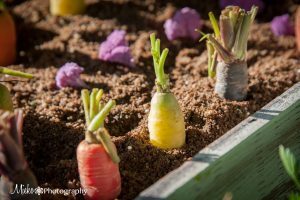 The annual event benefits Grow Some Good, a local non-profit organization that provides Maui elementary and intermediate schools with working gardens and complementary educational programs centered around science, nature, nutrition and the environment. School Garden at Kīhei Elementary, established by Grow Some Good. Photo by Kiaora Bohlool. This year, Grow Some Good celebrates its 10th anniversary. What began as three garden beds at Kīhei Elementary School in 2009 has grown into an island-wide program serving more than 4,000 students a year in 10 local schools. 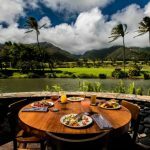 The organization attributes its success to the many community volunteers, private donors, chef/restaurant partners, and corporate sponsors that have embraced the collective vision of providing Maui families with better access to healthy, nutritious, locally-grown food. 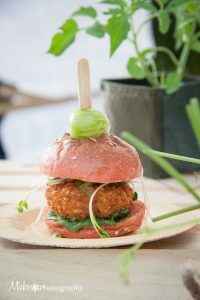 Taste of School Gardens is a farm-to-table style event where Maui’s premier chefs serve dishes inspired by all of the good things growing in the school gardens. The array of options includes many vegetarian choices, each featuring the chefs’ signature styles and fresh local ingredients. Guests will also enjoy fine wine and local brews, along with live entertainment. There will be a live auction and and silent auction, featuring exclusive private chef experiences and dinner events, resort stays and exciting island entertainment and activities. 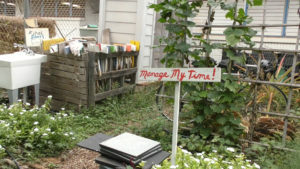 Grow Some Good will share memories and milestones of their first 10 years as an organization during the program, and attendees will have the opportunity to learn more by talking story with staff, volunteers, board members and garden coordinators throughout the evening. Participating chefs this year include: Chef Taylor Ponte of The Mill House; Chef Craig Dryhurst of DUO at the Four Seasons Resort Maui at Wailea; Chefs Jaron Blosser, Cody Christopher, and Travis Morrin of Fork & Salad; Chef Geno Sarmiento of Sarento’s on the Beach; Chef Ivan Pahk of Old Lāhainā Lū‘au; Chef Eric Morrissette of Fleetwood’s on Front Street; Chef John Cadman of Maui Breadfruit Company; Chefs Kevin Laut and Matt Paul of Outrigger Pizza Company; Chef Nick Stowell of Moku Roots; and Chef Roger Stettler of Taverna. Many of our chefs are longtime supporters and actively participate with Grow Some Good throughout the year with in-house fundraisers, team-building work days in the garden, and cooking demonstrations for students utilizing the food they’ve grown. 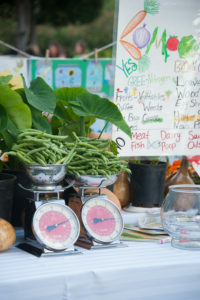 Garden-inspired food at Grow Some Good’s fundraising event, Taste of School Gardens. Courtesy of Mieko Photography. 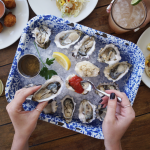 To accompany the delicious bites, beverages are provided by Chambers and Chambers, Maui Brewing Co., Maui Wine, Valley Isle Kombucha, Johnson Brothers, Southern Glazer’s Wine and Spirits of Hawaii, and Paradise Beverages. Guests must be 21 or older to attend, and non-alcoholic beverages will be available. In partnership with Maui Huliau Foundation and Sustainable Island Products, Taste of School Gardens is a zero-waste event and will provide reusable utensils and glassware, compostable dishware, and composting and recycling stations throughout the food and beverage area. For tickets and more details, go to Grow Some Good’s website.